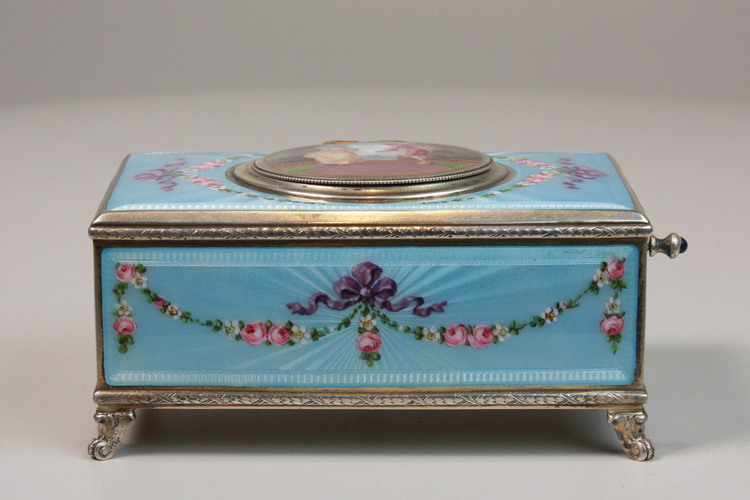 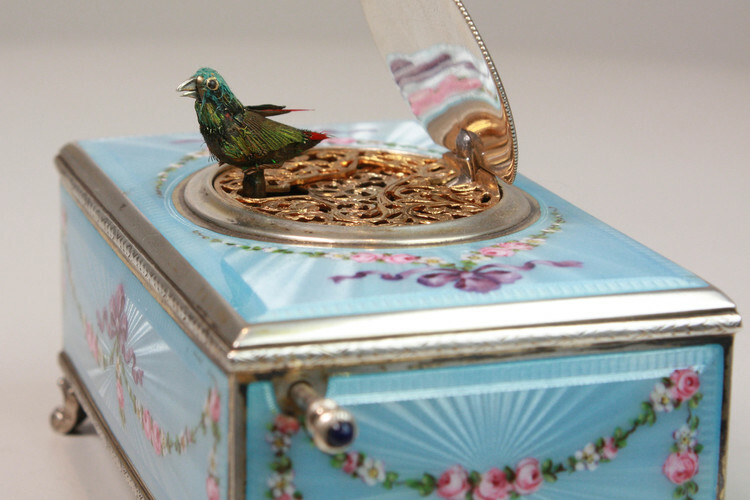 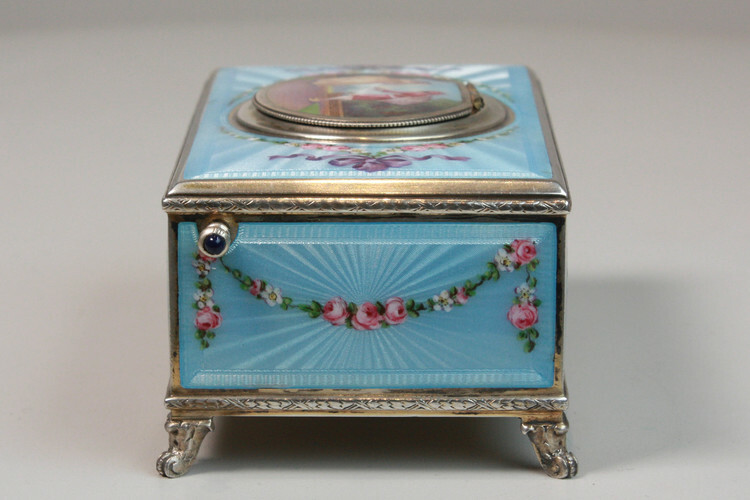 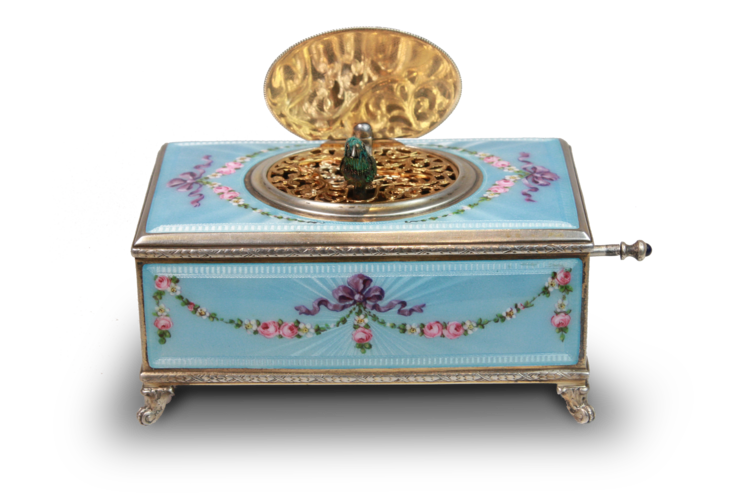 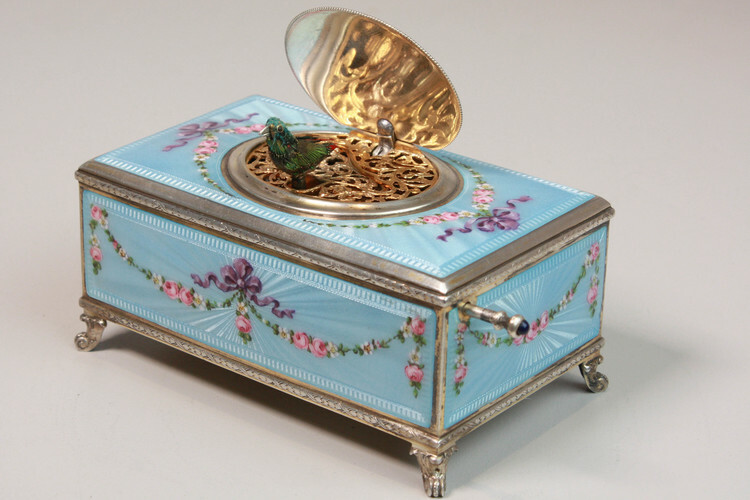 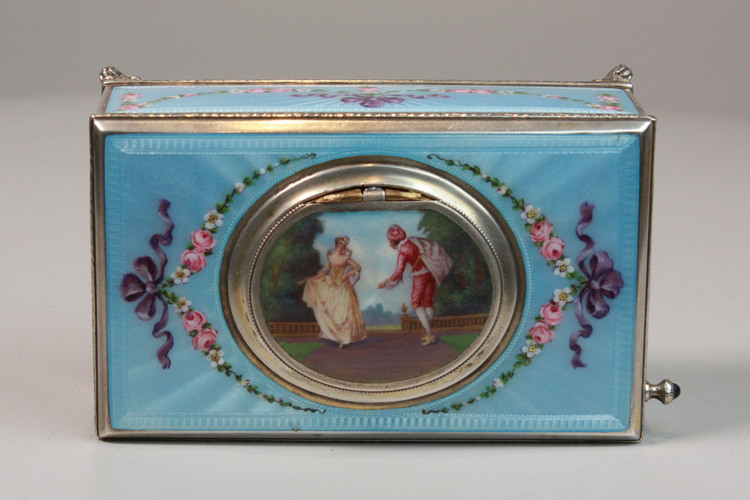 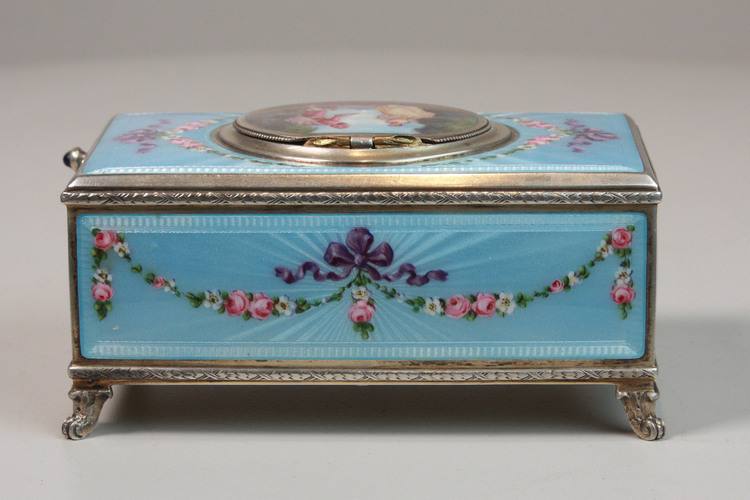 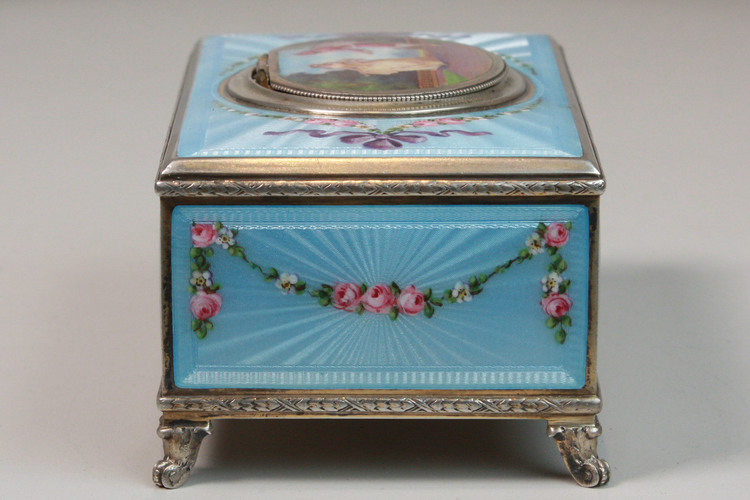 We are delighted to offer this beautiful blue enamel singing bird box, the quality of the enamel is outstanding and is offered in perfect condition, this is the first time we have seen a box with 'Palais Royal' stamp. 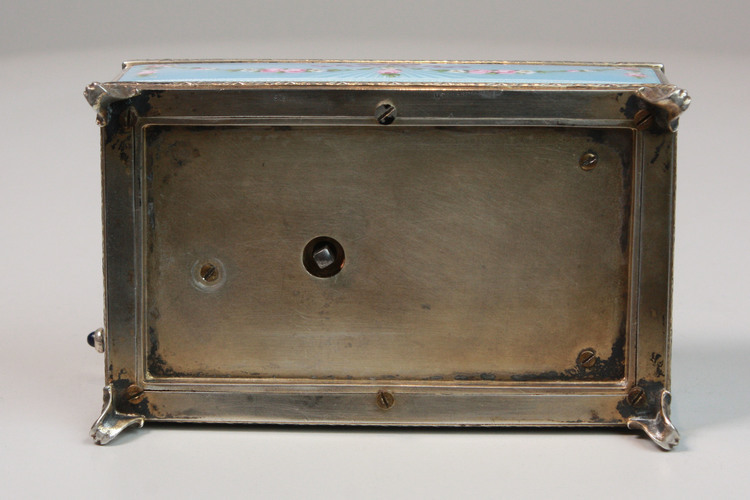 Take a good look at the engine turning under the enamel. 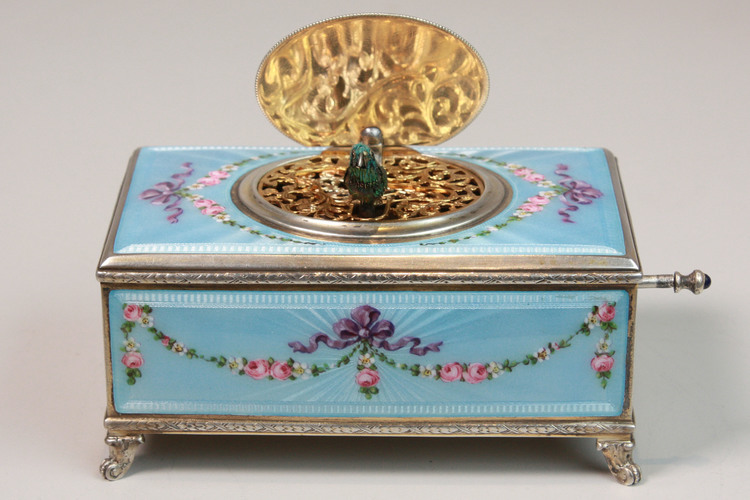 So well is it executed, a simple revolve of the box between the hands under light creates a stunning shimmer effect due to the sharpness of the tools used to create all that work before the enamel was laid down. 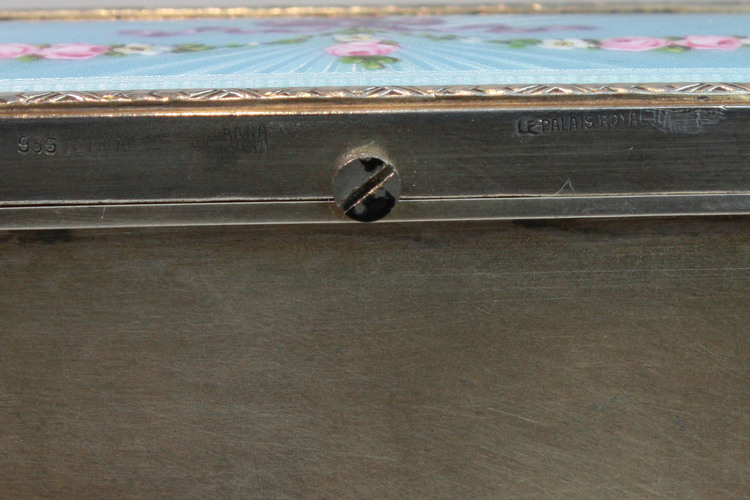 Not one chip or area of damage is noted.